Send Flowers by Numbers Online to India Because Every Number Has Its Story!!! No doubt, flowers are the beautiful way of presentation. When you need to put forward your true feelings, then nothing but flowers is considered as the best medium. Whatever be the reason for celebration, whatever is the occasion every happy moment is cheered with flowers. But flowers have their own world of fantasy. Every flower is meant to spread a unique message by its color and numbers too. Hence before you present one of three or any number of flowers you have to consider this point that what actually the number signifies. Sometime words are not required to express your feelings. Few beautiful presentations of flowers with say it all. While presenting flowers to your loved ones, you have to consider it correctly as what the number of flowers actually signifies. We have very beautiful examples to illustrate this such as 1 Red Rose means ‘you are the one’, 2 Roses means ‘deeply in love with you’, 3 Roses are the clear intimation of ‘I love you’, 5 flowers means ‘I admire you so much’, 10 flowers signifies ‘you are perfect’, 11 rose says ‘you are my treasured one’, 25 flowers convey the message ‘wishing you happiness’, 51 flowers say ‘only you in my mind’, 101 roses means ‘you are my one and only’, 999 rose means ‘my love will last till the end and lastly 1001 roses dignifies ‘infinite love’. 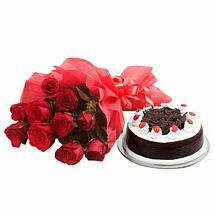 If it is the occasion that requires your confession, then speak loud your feelings with flowers and more specially flowers with special numbers. Whether, birthday, anniversary or the special days of love Valentine Day, redeem flowers to speak your feelings. If you are away from town you can Send Flowers by Numbers Online to India and enjoy your special numbered flowers deliver to your beloved’s place with no extra cost at all.